According to Disruptive Advertising, 2017 contributed roughly $2.3 trillion through e-commerce sales and has been predicted to contribute around $4.5 trillion in 2021. And the US is responsible alone for driving almost 10 percent of e-commerce sales done through the retail channel. This figure is also predicted to increase by an estimated value of 15 percent every fiscal year through e-commerce website development and maintenance. Just like clothes are tried on before purchase and are checked for defects, a similar process is followed for testing software. Software testing help shall be taken to eliminate defects, bugs, or run time errors in a website. This shall be done in a way that the website functions smoothly in the long run. Why is it crucial for e-commerce websites? Entrepreneurs and businessmen from various retail and wholesale arenas are new to the e-commerce platform and are not as well versed as their brick and mortar versions. 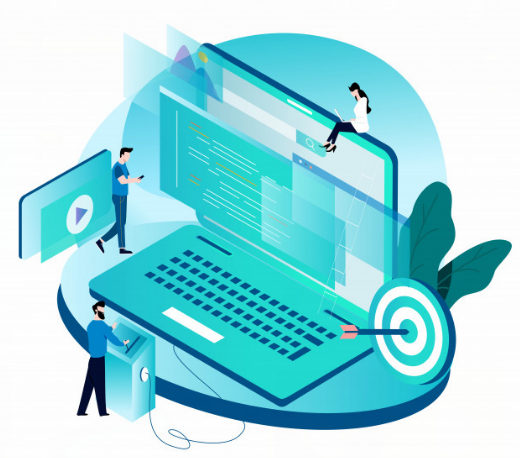 Therefore an e-commerce website development company has a greater responsibility and focus on testing its website and making it a robust and durable mechanism for the business to function through it. There are various elements or components involved in a particular e-commerce website development which needs to be checked and tested before running on the internet as the final version. The homepage is the main character which captivates the attention of all the users and needs to function in a perfect manner. Many websites have the feature of auto-scrolling of product images on which the current offer or discount is running through. If the scrolling does not function properly, a particular user might lose interest and switch over to another website. This is yet another element of the website and needs to be checked before setting up the final show. The toolbar needs to detect almost every minute keyword present in its directory in such a way that the user can view all related products and services. A website shall detect only related keywords and directories for displaying a certain group of products and services to its customer. Suppose earrings as a keyword does not get detected and comes under the jewelry section, the same needs to get registered on the website. And this can be done through software testing tools. Users shall lose interest in the product or service which does not have adequate information regarding specifications, features, images, or reviews. The same needs to be provided and the visibility also needs to be checked. The latest phone model has been trending on a particular e-commerce website but does not show up adequate images, reviews, or related information shall not sell on the website. This is also because virtual shopping shall demand adequate information and details for gaining trust and profits. The shopping cart, ‘add to bag’, or ‘add to cart’ options are common to almost every e-commerce website available on the internet. Sometimes due to server issues, some users face the problem of their products or services getting added to their cart or bag later than usual. Hence, tests should be done to make sure that the user preferences are either saved on to the cart or saved for later. The final page after the ‘Proceed to Checkout’ toolbar is clicked is of the payments. This page mostly includes a virtual calculator, an editor where the necessary products or services can be added, modified, or deleted, and a virtual billing feature. Also, the banks that support the payments done through the website, credit cards or debit cards, payment wallets, and other such options which shall enable effortless payment for the users. Services like tracking the courier or parcel after ordering or purchasing it are some of the factors which provide an edge to websites for their services and popularity. The same goes for return and refund of the particular purchase if the customer is not satisfied with the product. Some users might experience ‘Products suggested for you’ or ‘Best purchased with’ when they browse through such websites or purchase from a certain website. This is mostly done to improve sales by giving a personal touch to the user. It is the sole discretion upon the user whether to purchase the particular product or not. There can be a few other tests related to customer profiles either through a valid email service or through a social media account. Software performance testing regarding customer support through artificial intelligence or chatbots is also required these days as users may have queries regarding the product or service displayed on the website for sale. Hence, these are some of the ways in which e-commerce websites can be tested in the right ways for gaining profits and loyal customers. According to Hosting Facts, it has been said that almost 48 percent of entrepreneurs prefer developing fresh landing pages with every fresh sales campaign. And also around 52 percent of such entrepreneurs prefer testing these landing pages before launching them to improve conversion of sales. For a particular website to be a blockbuster, it is necessary that e-commerce website development is done with a lot of care.